On Wednesday, the latest full-length trailer Avengers: Age of Ultron was unleashed and everyone is talking. 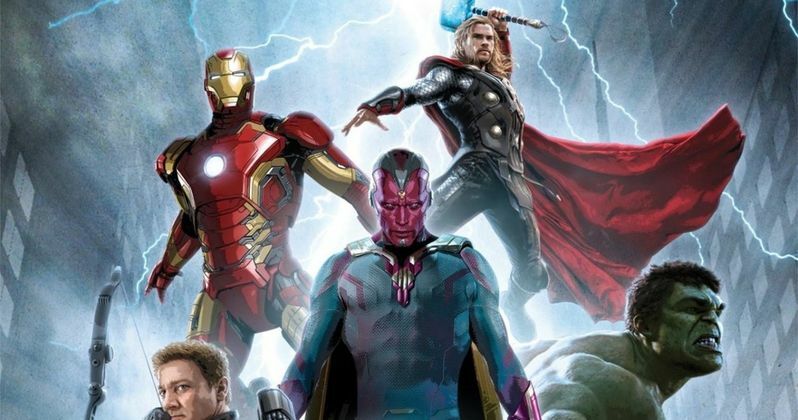 The all-new footage focuses on The Avengers team being reunited, James Spader's Ultron causing non-stop havoc, and even Marvel favorite, Vision, was revealed for the very first time. Marvel united fans globally by launching the first-ever, worldwide Flock-to-Unlock trailer release on Twitter, with tweets from 14 different @handles in six different languages (English, Spanish, Portuguese, French, Italian and Russian). This was also promoted in over 65 local markets around the world. #AssembleAvengers trended worldwide and in at least 7 countries over the course of the morning and the trailer was unlocked in record time. Fans united in force at average rate of 8100 tweets per minute (8x the average volume) when the trailer was finally unlocked at 10:13am PST. It's a fact, Marvel hype is once again in full swing as we get closer to the Avengers: Age of Ultron release and to prove it, Marvel will be hosting the Marvel Movie Marathon in select theaters across the country, where you'll get to sit through a 27-hour movie event which will span all 11 Marvel films. All of that said, Avengers: Age of Ultron director, Joss Whedon, recently claimed that the movie was a nightmare to shoot. With a collection of high-end media outlets getting exclusive access to set of movie, we thought it was time to take a look at what it really took to make what Disney and Marvel both hope becomes the highest grossing superhero movie of all-time, de-throning it's predecessor, Marvel's The Avengers. Go behind-the-scenes of the new film with all-new videos below. Marvel's Avengers: Age of Ultron stars Robert Downey Jr., who returns as Iron Man, along with Chris Hemsworth as Thor, Mark Ruffalo as Hulk and Chris Evans as Captain America. Together with Scarlett Johansson as Black Widow and Jeremy Renner as Hawkeye, and with the additional support of Don Cheadle as James Rhodes/War Machine, Cobie Smulders as Agent Maria Hill, Stellan Skarsgård as Erik Selvig and Samuel L. Jackson as Nick Fury, the team must reassemble to defeat James Spader as Ultron, a terrifying technological villain hell-bent on human extinction. Along the way, they confront two mysterious and powerful newcomers, Pietro Maximoff, played by Aaron Taylor-Johnson, and Wanda Maximoff, played by Elizabeth Olsen and meet an old friend in a new form when Paul Bettany becomes Vision.